Solarised print of Sebastian Droste – £3200 at Chiswick Auctions. The American-born Francis Bruguière (1879- 1945) had a varied career that spanned sojourns in San Francisco, New York and London. Trained initially as a painter (a career to which he returned in the late 1930s), he produced a body of avant-garde photographic work that mirrored the Surrealism of famous French photographers such as Man Ray. Much of his work is now in institutions such as the John Paul Getty and Eastman museums. Chiswick’s sale embraced three sections of his photographic career: his artistic Photo Secession images from San Francisco and his theatrical studies in New York; interwar photographs of London involving unusual viewpoints of landmarks; and his experimental work including solarised and multiple exposures. Around two-thirds of the lots changed hands at the sale on March 19. 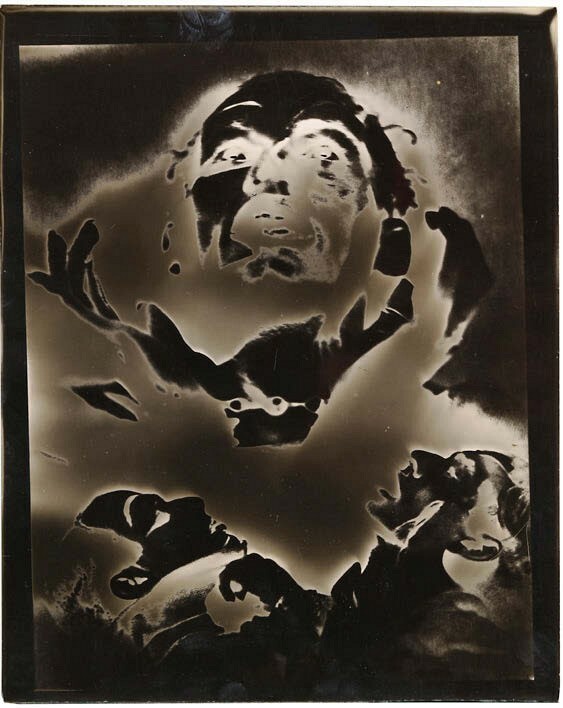 Pictured above is one of the more expensive, a vintage solarised print of one of the experimental works for a projected film titled The Way undertaken from 1923-25. The film was never completed because the principal actor, Sebastian Droste (shown here in solarised form), died before production. The 10 x 8in (25 x 20cm) gelatin print, annotated in pencil V14 to the verso, realised £3200. Chiswick Auctions’ next photographica sale on May will feature a group of items relating to Herbert George Ponting, the photographer famed for his Antarctic expedition images (estimate £3000-5000). They include this action shot of him diving from a pier in California. Chiswick Auctions’ next photographica sale on May 16 is timed to coincide with the main photo fairs in London. It will feature a group of items relating to Herbert George Ponting, the photographer famed for his Antarctic expedition images. The material, which was acquired by the vendor as a lot from a regional auction house four years ago, relates to the early part of Ponting’s career when he was in the process of moving from amateur to professional photographer. 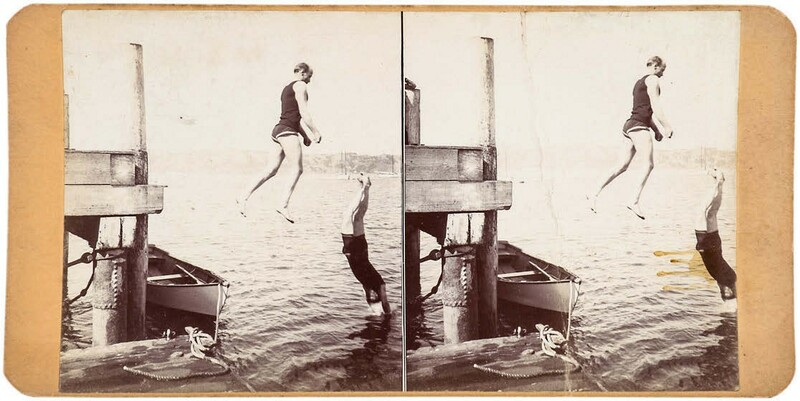 It comprises a group of 10 unpublished personal stereo cards from c.1901 with handwritten inscriptions and annotations that show Ponting and his family at their Sausalito, California, home including this action shot of him diving from a pier, above. The auction house notes that “although we have no conclusive provenance to verify a direct link of ownership to Ponting, the stereo cards have been viewed by various experts and all are of the strong opinion that the handwriting, personal annotations, and photographic subjects relate to Ponting directly”. The group is estimated at £3000-5000.